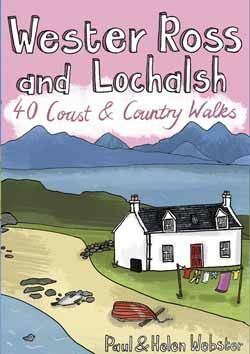 Wester Ross and Lochalsh are amongst the most popular areas for walks in the Scottish Highlands. The Lochalsh peninsula between the shores of Loch Duich and Loch Carron offers varied walking from villages such as Plockton as well as the region's main town at Kyle of Lochalsh. Across thedramatic Mam Ratagan pass is the remote and secluded Glenelg peninsula, a tranquil and peaceful haven far from busy routes. This latest pocket guide features 40 of the best walks in this popular area in an attractive and accessible format.